My first 2014 reSEWlution is to focus on myself & my fiancé. 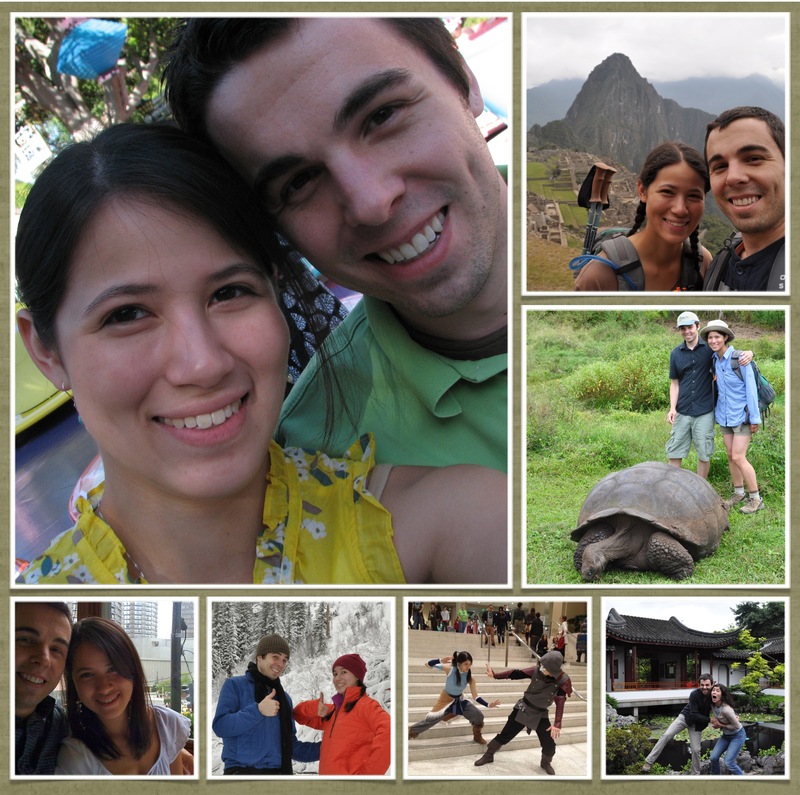 Over the Christmas holiday we announced our plans to be married later in 2014. However, I made this resolution months before our engagement because I have trouble saying “no” and this often means that I take on craft projects for family and friends that distract me from taking care of myself and my relationship. It has been an honor to make costumes, cat toys, wedding gifts, and raffle items for my friends, but 2014 is already filling up fast with my own costumes, clothing, and DIY marriage celebration projects. Moreover, I want to be less stressed and that means more intentional down time in-between sewing and knitting projects. I will be more active in the #Sewcialists community. When we look back at history (ok…when we look at historical-fiction dramas like Jane Austen movies…) we see that activities like needlepoint, knitting, and hand sewing were sometimes social. But at other times, sewing has been very isolating. With the invention of the sewing machine, it became more cumbersome to take one’s sewing over to a friend’s house. My mom talks about Home Ec classes, but sewing never seemed to be a social activity for her. With digital media, our sewing projects and sewing rooms are social again. We have #fabricchats and we share our struggles and successes via blogs, Twitter, Instagram, and Flickr. I have learned a lot from the other sewing bloggers, and I want to contribute more to the discussions and offer support and ideas as often as I accept them. I will FINALLY post photos and a few construction notes about the costumes and craft projects I completed in 2012 and 2013! 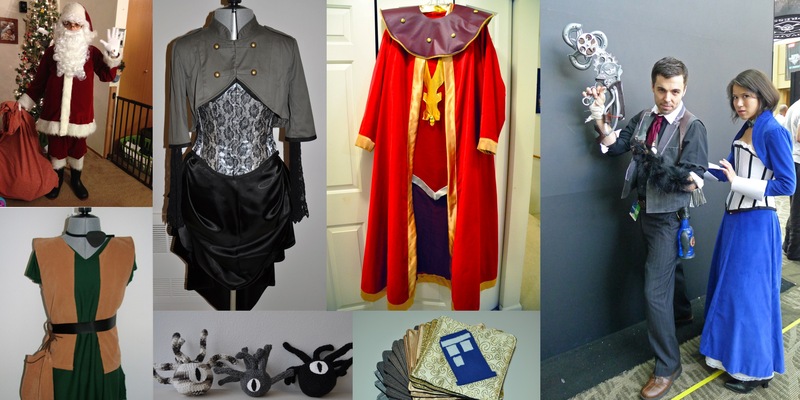 I always have lofty goals about documenting the whole creation process for each costume, but as the convention date approaches I am more focused on completing the costume, and the blogging falls to the wayside. In this upcoming year, I will clear out my blogging backlog by creating a project gallery. I will participate in the Wardrobe Architect challenge to help me clarify my wardrobe purchases and upcoming me-made clothing projects. Rebuilding a cohesive and inter-relational wardrobe has been a goal for the past two years, but it tends to take a back seat to costumes. I assessed my default color palette already. Now I need to understand garment silhouettes and complimentary textures and materials. I am eager to see what kinds of tips and discussions come out of this Wardrobe Architect program. I will enjoy seeing what others create for the Stashbusting Challenge and the Me-Made May challenge, but this year I will sit on the sidelines in favor of reSEWlution #1. The sewing community is full of never-ending inspiration, but I need to keep my “want to make” list under control this year. I am committed to decreasing my fabric stash, so when it is time to work on Christmas gifts, I will explore the Stashbusting Flickr group for inspiration. As I identify garments for my wardrobe, I will turn to the Me-Made May group for pattern suggestions. I will maintain an organized and useable craft room. This may be the most unrealistic of my reSEWlutions. You all know how quickly a craft space can get out of control. Nevertheless, I often feel the itch to sew something, but cannot because I don’t feel like dealing with the seven-layer clutter left over from the previous project. This also ties into reSEWlution #1. Greg is much more organized and tidy than I am. I know that my clutter can cause him frustration, and as part of my commitment to our future together, I want to change my habits and help keep our home organized and de-cluttered. See you all online in 2014! Great list. I like Wardrobe Architect challenge. I’ve only recently started fine tuning my fabric purchases so I buy stuff that will go with what I’ve already made. Have a great 2014! Happy 2014 to you as well! I am excited to see the Wardrobe Architect discussions. Congratulations on your engagement! May your 2014 be a good year for achieving your goals! And lol – “seven-layer clutter”! So so true. Congratulations, Meris! 2014 sounds like it’s going to be a big and interesting year for you. Focusing your sewing on yourself and your fiance (!) sounds healthy, especially since wedding planning can involve accommodating friends and family. Happy new year! I think these are great resewlutions, dear. A year in which are married should definitely spent focusing on yourself! Can’t wait to see a relaxed, comfortable you at our next encounter.